Tushar Vellapally, who heads the BDJS, a BJP ally in the state, was moved from the Thrissur Lok Sabha constituency to take on Gandhi. 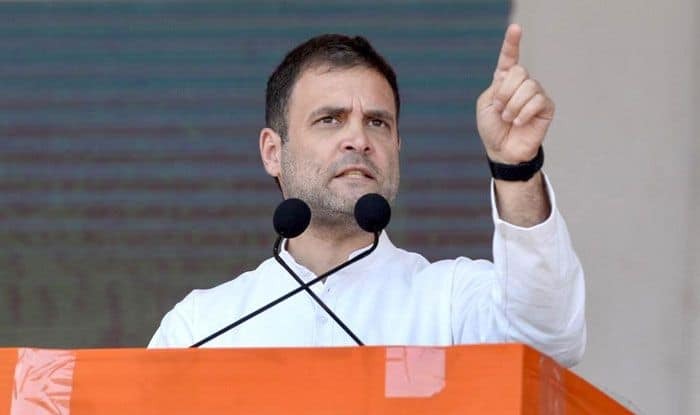 Congress president Rahul Gandhi will be defeated in Wayanad in Kerala if he contests the Lok Sabha election there, Tushar Vellapally, who heads the BDJS, a BJP ally in the state, said on Monday. BJP president Amit Shah on Monday announced the candidature of Vellapally, who was moved from the Thrissur Lok Sabha constituency to take on Gandhi. “Why should a north Indian come and contest here when there are so many Malayalees? The writing on the wall is very clear. Gandhi, who is not required in north India, is not going to be accepted here and hence he will not win,” he said. The junior Vellapally is the son of high profile SNDP Yogam General Secretary Vellapally Natesan, who was instrumental in floating the BDJS in 2015. “I know so many people here cutting across communities and hence I do not think they will vote for someone who is not known,” said Tushar Vellapally, knowing that his own election will fetch him a good deal of attention on account of his high-profile opponent. CPI leader P.P. Suneer is the Left Democratic Front candidate in Wayanad.